The progress that has been made to date in raising awareness of the benefits of supplier diversity and increasing the participation of diverse suppliers has been impressive. However, according to DiversityPlus Magazine’s 2014 Champions of Diversity, the progress is notable but not enough. Supplier diversity principles generally began in response to government mandates, and then businesses discovered through metrics, bottom lines and experience that inclusion is the “right thing to do.” That knowledge was followed by an understanding that including diverse suppliers in supply chains is a best practice and required for any business that wants to successfully operate in a global, intensely competitive business environment. As the world changes, supplier diversity policies, programs and initiatives need to adapt. That requires innovative thinking and a determination to lead into the future and not just maintain in the present. The Champions of Diversity were chosen as much for their ability to develop best practices that ensure diverse suppliers have equal opportunities to participate in a globalized, volatile future market as they were for their past accomplishments. The selection criteria as a Champion included being responsive to diverse suppliers, demonstrating leadership by example, and developing key best programs to build thriving supplier diversity programs. Today’s business environment requires unique leadership able to move beyond traditional practices and beyond traditional industries. The 30 Champions represent a variety of industries. They include some that are particularly challenging because they do not have a history of attracting and developing MWBEs or other diverse suppliers so there is low representation and a small number of diverse businesses with scalability and capabilities. The Champions in industries like pharmaceuticals, electric utilities, energy production, and global information and measurement apply their knowledge and experience to develop supplier diversity programs from the ground up. Champions also represent banking, technology, automotive, laundry and home care, hospitality, food and drink production, and retail. The breadth of industries reflects the growing deep belief in supplier diversity as a success strategy. The Champions of Diversity have been busy expanding their diversity programs by developing best practices perfectly suited to the globalized, competitive environment. It is their leadership that is setting new standards for success. What is important to understand is that the Champions are not just starting supplier registration portals and leaving the use of diverse suppliers to chance. They are actively helping suppliers build capabilities and scalability so they qualify to do business with corporations. They are building teams but at multiple layers to drive the principles and practice of supplier diversity deep. The Champions are taking supplier diversity programs global which is incredibly challenging because of the different cultures and government laws and regulations involved. The Champions share market knowledge, advise suppliers on developing financial viability, mentor, network and develop business development scholarship opportunities for suppliers. Another best practice involves bringing people together in different ways, using sheer determination. 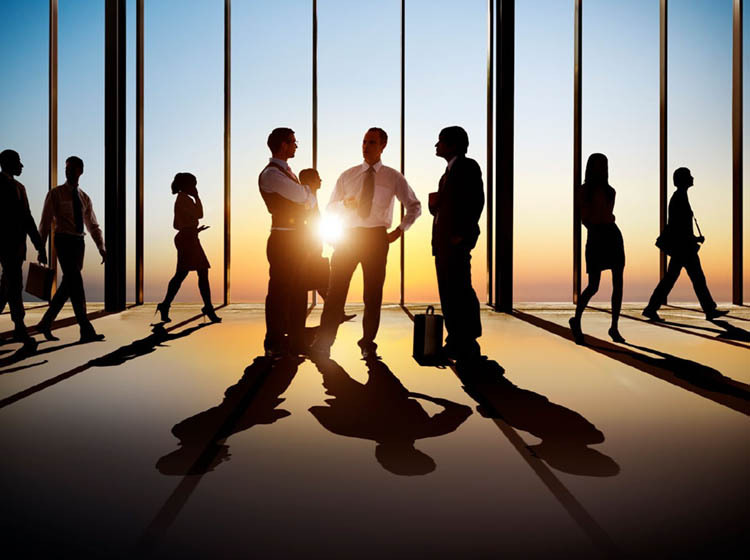 Some Champions make use of ambassadors or people in the company who take the supplier diversity effort company-wide and serve as liaisons between the supplier diversity team and organizational units. Bringing suppliers or suppliers and business units together as partners is another approach. Developing partnerships requires an ability to see what can be and not what is currently available. Several Champions of Diversity pointed out they have a code of conduct and expectations that keeps them on track. For Itu Otu with Mars Inc. the code reads as, “Quality, Responsibility, Mutuality, Efficiency, Freedom.” Edkedsha Mathis at Volkswagen believes she should, “Aim High, Apply Myself, Achieve My Goals.” At Hilton, Fred Lona keeps “Expectations, Transparency, Collaboration, Innovation, Education, Engagement, and Preparation.” All the Champions are strengthening Tier 1and Tier 2 supplier bases because all are about opportunity. The bios of the Champions of Diversity summarize the various leadership styles, achievements and future plans. Each person clearly has a passion for giving all business owners the opportunity to succeed. It is the desire of DiversityPlus Magazine to share this information in the hope that other leaders in other companies will adopt and adapt some of the key best practices so that they too build robust supplier diversity programs. This is about more than supply chains. It is about developing an economically inclusive world because supplier success has an exponential impact on communities. 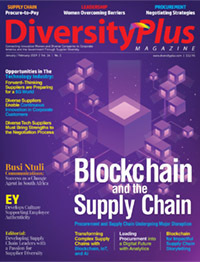 DiversityPlus is much more than “just” a supplier diversity magazine.Thanks to its strong media platform, which includes the print edition, digital magazine, website, weekly newsletter, social media, blogs, and video, DiversityPlus is able to provide print readers in seven countries and more than 117,000 digital readers worldwide with access to leading-edge supplier diversity content, webinars, and events. What you’ll read in the pages of DiversityPlus represents the most current and impactful thinking about diverse supplier relationships. Plus, with over 17 years in print, our trend research, interviews, and feature articles showcase a depth of industry relationships unmatched by any other supplier diversity publication.